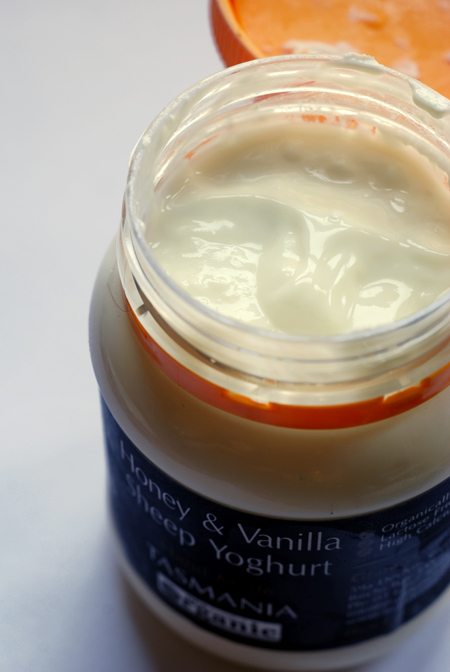 Two types of yoghurt are available - plain and honey & vanilla flavoured. Sheep milk is quite good for us - it has twice the calcium of cows milk as well as increased levels of B group Vitamins, phosphorus and zinc. It can also be eaten by 98% of lactose intolerant people. 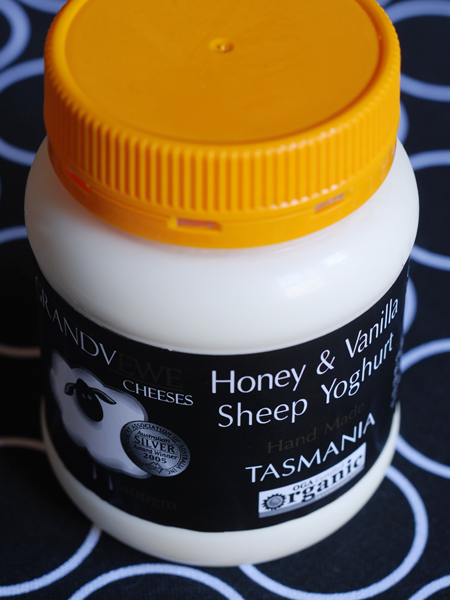 Its a creamy yoghurt with a slightly tart finish - the flavours of honey and vanilla are both evident. Partner it with fruit salad or just enjoy it as an alternative to your regular yoghurt. I found this at Organic Elements at Prahran Market but it is also available by mail order from the Grandvewe website. 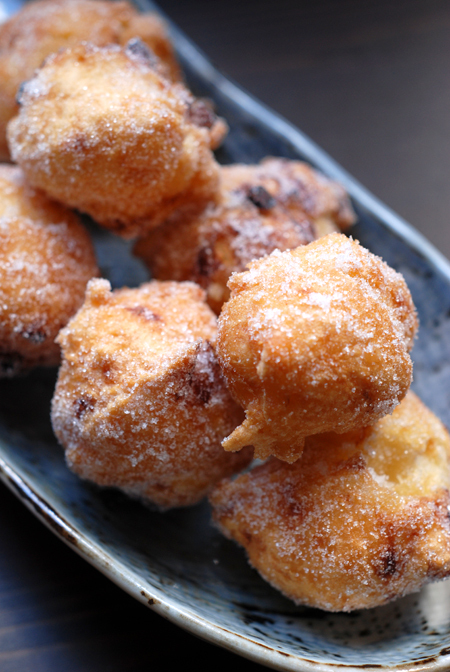 ohhhh yum. i love semolina cake. Im definitely making this one...tomorrow! Thanks Kel - hope you enjoy it! Wait, I thought yogurt in general was easily taken by lactose intolerant people? That bottle makes me want to smear the cream all over my face, for some reason. You have to be careful - in commercial yoghurts, milk solids can be added to the yoghurt which could prove harmful to those that are lactose intolerant.